⭐️New Signature⭐️ K.O.G & The Zongo Brigade // Debut album coming soon ! « The single ‘Manoir des super-vilains’ from Cotonete available today on streaming platforms !! On est fiers de vous annoncer la nouvelle signature de Pura Vida Sounds, le label de GUTS ! Le groupe basé à Sheffield, K.O.G & The Zongo Brigade ! Leur premier album ‘Wahala Wahala’ sortira le 8 mars au Royaume- Unis puis le 26 avril partout ailleurs. Bienvenu dans la famille PVS / Heavenly Sweetness !!! We are proud to announce the new signature of Pura Vida Sounds, the label of GUTS! The group based in Sheffield, K.O.G & The Zongo Brigade ! 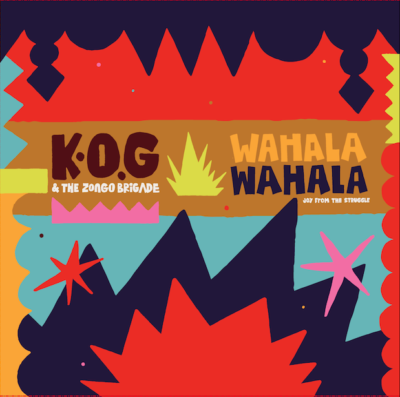 Their first album ‘Wahala Wahala’ will be released on March 8th in the UK and April 26th everywhere else. Welcome to the PVS/ Heavenly Sweetness family!! !